Democracy in America, written by Alexis de Tocqueville between 1835 and 1840, is considered one of the most comprehensive and insightful books ever written about the U.S. Having seen the failed attempts at a democratic government in his native France, Tocqueville set out to study a stable and prosperous democracy in order to gain insight into how it worked. Democracy in America is the result of his studies. The book was and still remains, so popular because it deals with issues such as religion, the press, money, class structure, racism, the role of government, and the judicial system – issues that are just as relevant today as they were then. 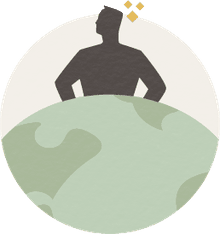 ​Many colleges in the U.S. continue to use Democracy in America in political science and history courses. There are two volumes to Democracy in America. Volume one was published in 1835 and is more optimistic of the two. It focuses mainly on the structure of government and the institutions that help maintain freedom in the United States. Volume two, published in 1840, focuses more on individuals and the effects that the democratic mentality has on the norms and thoughts that exist in society. Tocqueville’s main purpose in writing Democracy in America was to analyze the functioning of political society and the various forms of political associations, although he also had some reflections on civil society as well as the relations between political and civil society. He ultimately sought to understand the true nature of American political life and why it was so different from Europe. Democracy in America covers a vast array of topics. 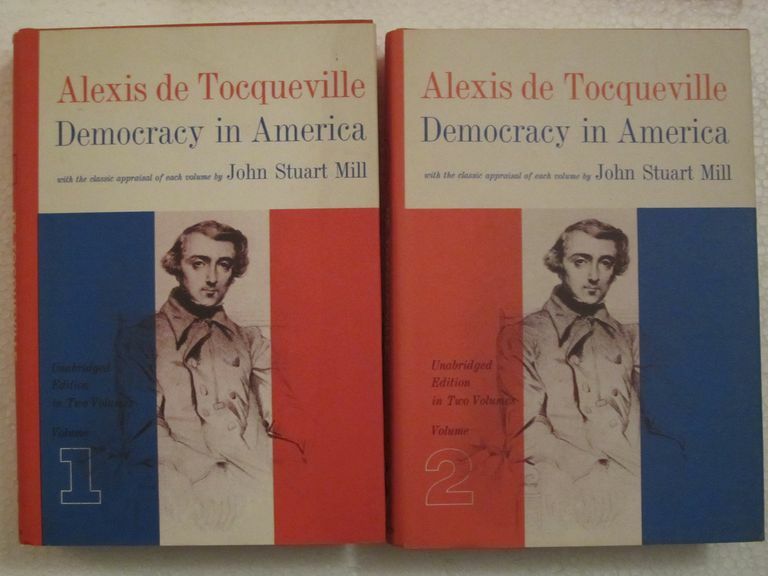 In Volume I, Tocqueville discusses things such as: the social condition of Anglo-Americans; judicial power in the United States and its influence on political society; the United States Constitution; freedom of press; political associations; the advantages of a democratic government; the consequences of democracy; and the future of the races in the United States. In Volume II of the book, Tocqueville covers topics such as: How religion in the United States avails itself to democratic tendencies; Roman Catholicism in the United States; pantheism; equality and the perfectibility of man; science; literature; art; how democracy has modified the English language; spiritual fanaticism; education; and equality of the sexes. 1. Love of equality: Americans love equality even more than we love individual liberty or freedom (Volume 2, Part 2, Chapter 1). 2. Absence of tradition: Americans inhabit a landscape largely without inherited institutions and traditions (family, class, religion) that define their relations to one another (Volume 2, Part 1, Chapter 1). 3. Individualism: Because no person is intrinsically better than another, Americans begin to seek all reasons in themselves, looking not to tradition nor to the wisdom of singular individuals, but to their own opinion for guidance (Volume 2, Part 2, Chapter 2). 4. Tyranny of the majority: At the same time, Americans give great weight to, and feel great pressure from, the opinion of the majority. Precisely because they are all equal, they feel insignificant and weak in contrast to the greater number (Volume 1, Part 2, Chapter 7). 5. Importance of free association: Americans have a happy impulse to work together to improve their common life, most obviously by forming voluntary associations. This uniquely American art of association tempers their tendencies towards individualism and gives them a habit and taste for serving others (Volume 2, Part 2, Chapters 4 and 5). Tocqueville is often acclaimed for making a number of correct predictions in Democracy in America. First, he anticipated that the debate over the abolition of slavery could potentially tear apart the United States, which it did during the American Civil War. Second, he predicted that the United States and Russia would rise as rival superpowers, and they did after World War II. Some scholars also argue that Tocqueville, in his discussion of the rise of the industrial sector in the American economy, correctly predicted that an industrial aristocracy would rise from the ownership of labor. In the book, he warned that “friends of democracy must keep an anxious eye peeled in this direction at all times” and went on to say that a new found wealthy class may potentially dominate society. According to Tocqueville, democracy would also have some unfavorable consequences, including the tyranny of the majority over thought, a preoccupation with material goods, and isolating individuals from each other and society.